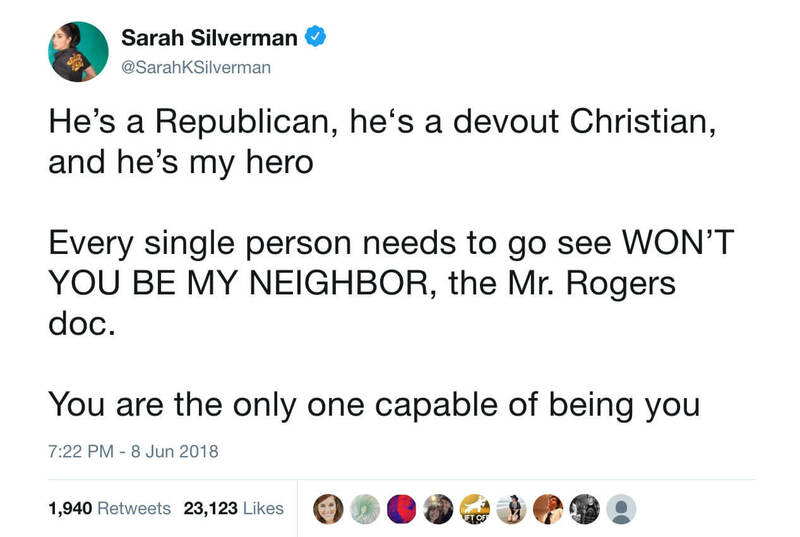 Since Morgan Neville’s Won’t You Be My Neighbor? premiered at the Sundance Film Festival, fans have been gushing about the film, the filmmaker, and his subject. 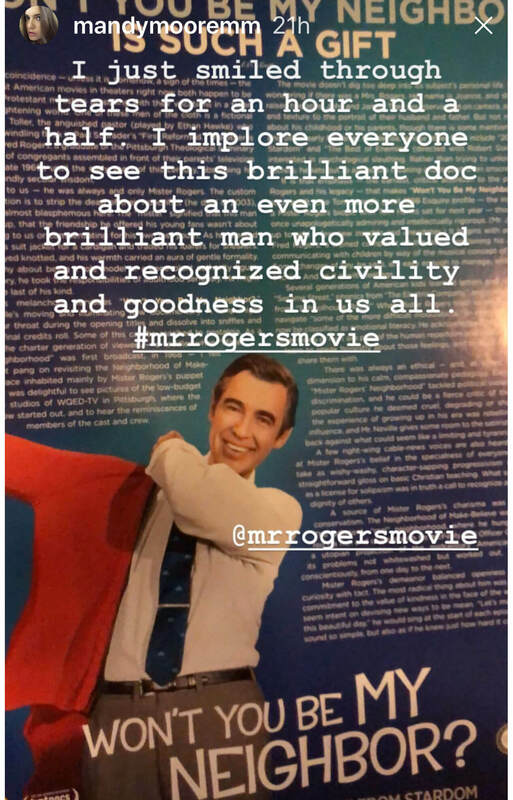 This touching tribute to Fred Rogers, whose groundbreaking show Mister Rogers' Neighborhood reminded generations of children that they were loved unconditionally, is now getting all that affection returned in full. See why everyone, from Judd Apatow to Sarah Silverman and Questlove, feels this is the film we need to see right now. 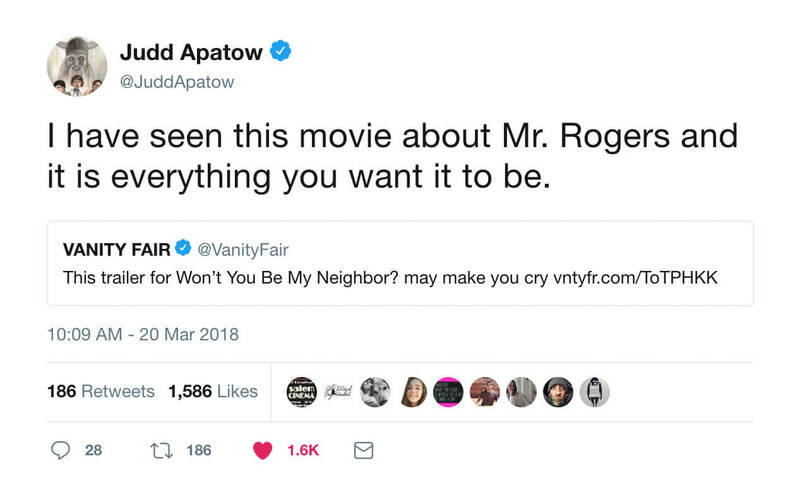 Get tickets to see Won't You Be My Neighbor? in theaters now. Producer Judd Apatow has been a big fan from the start. This Is Us actress/singer-songwriter Mandy Moore was all smiles and tears (in the best way). 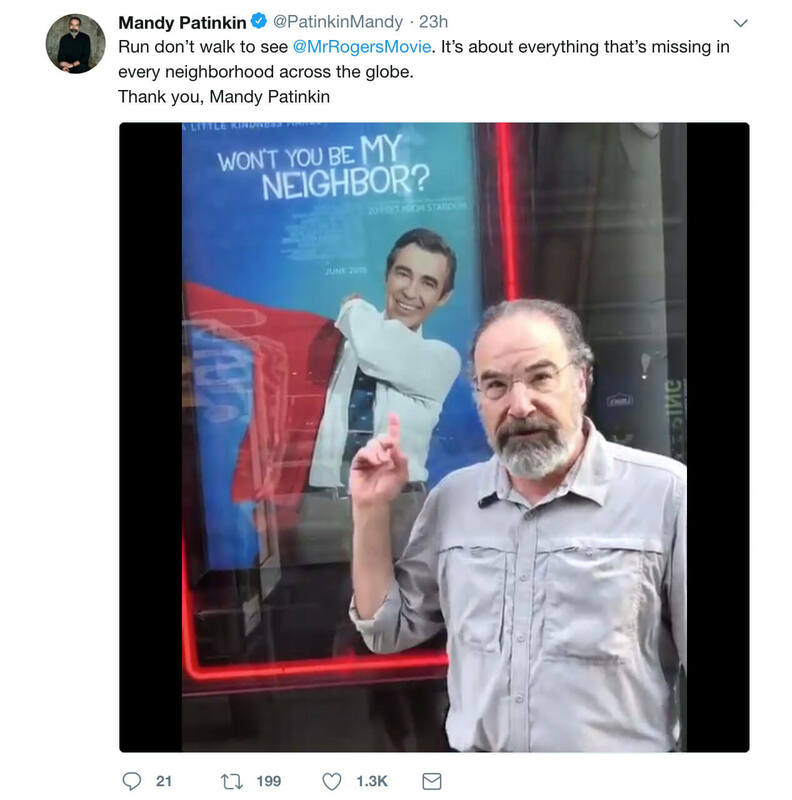 Homeland actor Mandy Patinkin will race you to the theater. 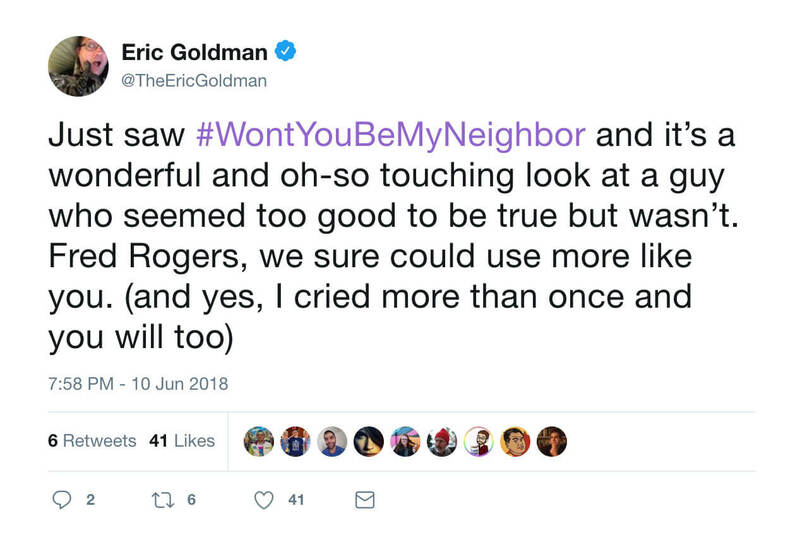 Marvel editor Eric Goldman shed all the tears. Actor and Wild Wild Country producer Mark Duplass made a family date of it (and definitely needed tissues). 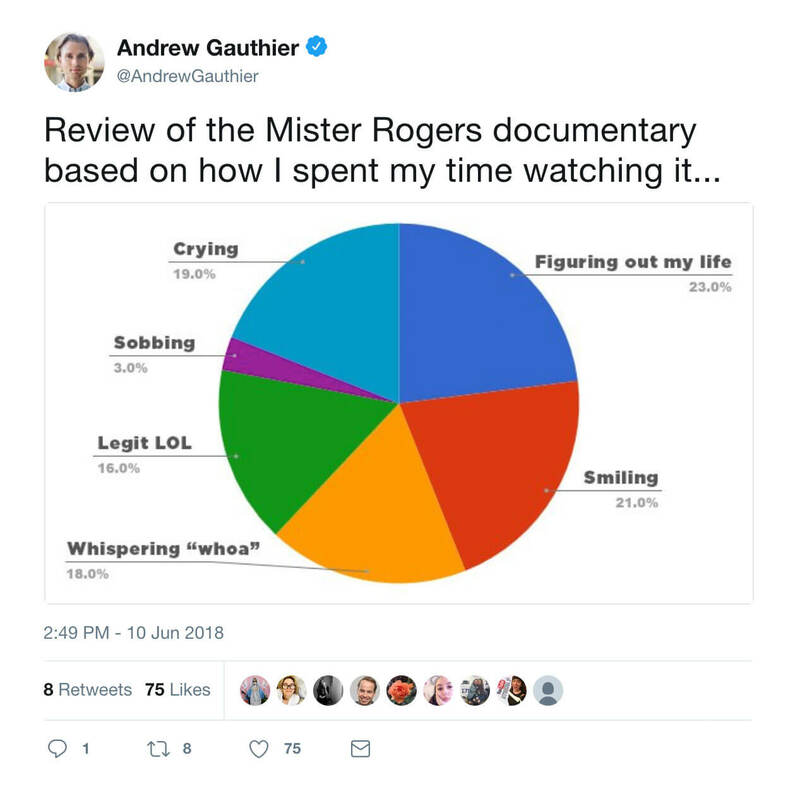 Andrew Gauthier, Head of BuzzFeed Video, had to chart out all the feels this film gave him (us, too, Andrew). 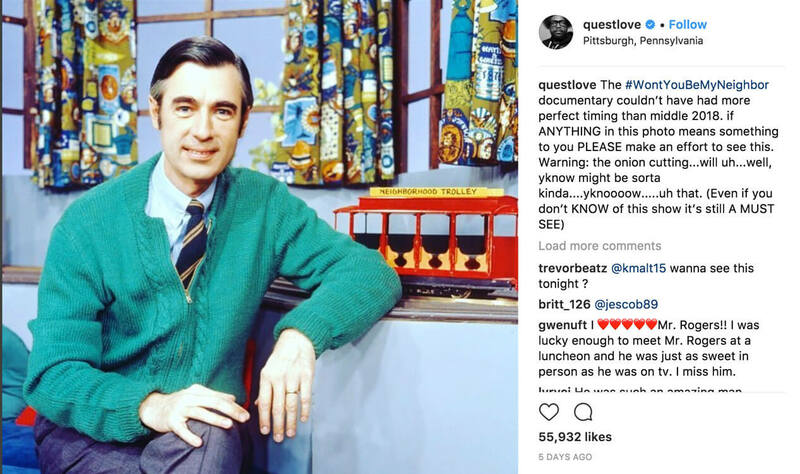 DJ/music producer Questlove took to the gram to implore people to see Mister Rogers on the big screen. 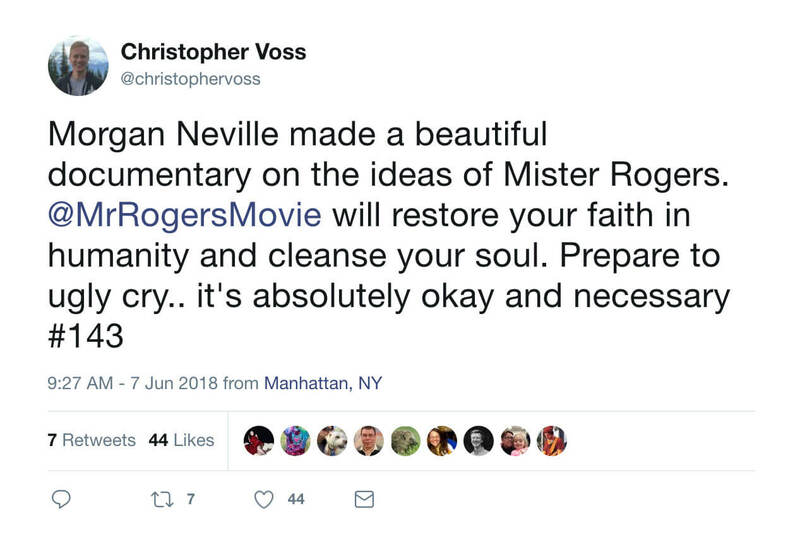 SNL Producer Christopher Voss cleansed his soul with Won't You Be My Neighbor? 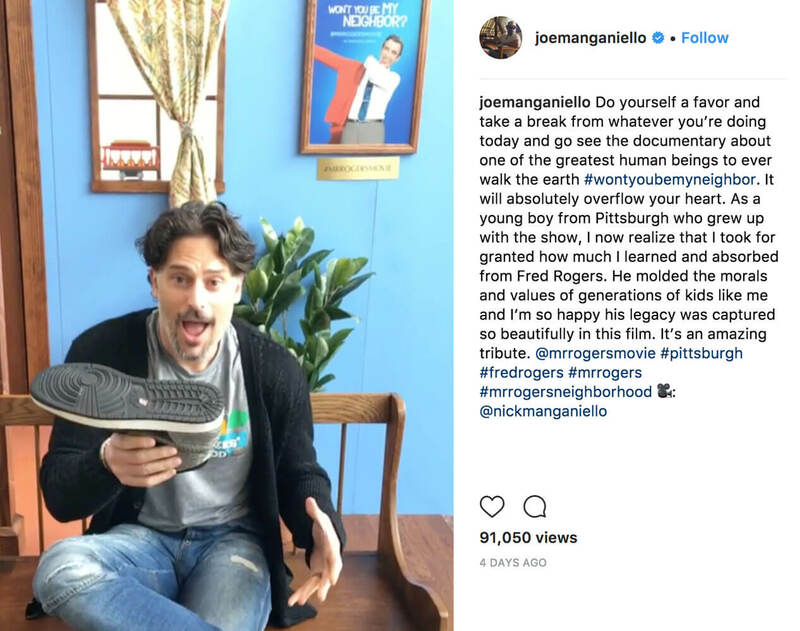 Joe Manganiello of True Blood and Magic Mike reminisced about the importance of this neighbor. Actress/Comedian Sarah Silverman loved seeing her hero on the big screen once more. 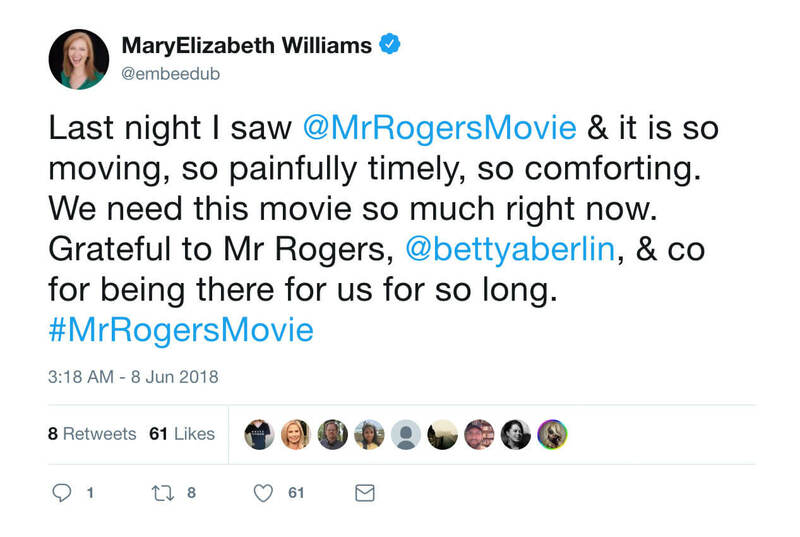 Writer Mary Elizabeth Williams reiterated the imporatance of this film in today's world. West Wing and Get Out actor Bradley Whitford didn't mince words. 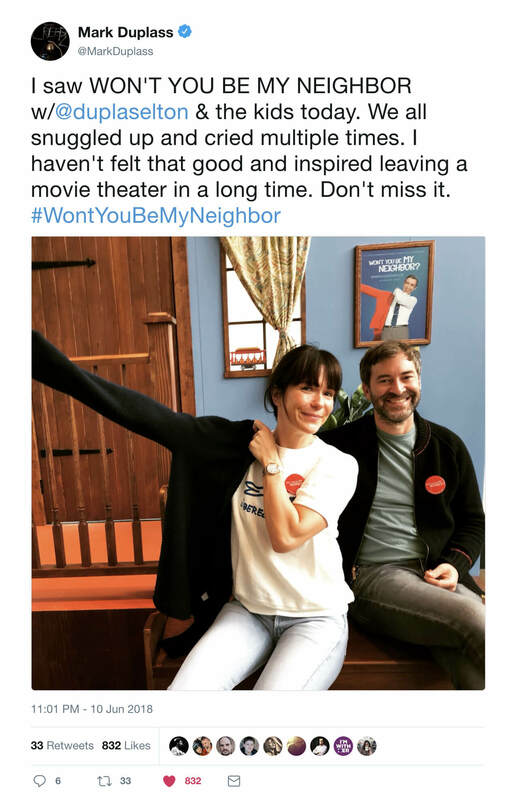 Get tickets to see Won't You Be My Neighbor? today.